Sorrentino pleaded guilty in January to concealing his income in 2011 by making cash deposits that wouldn't trigger federal reporting requirements. 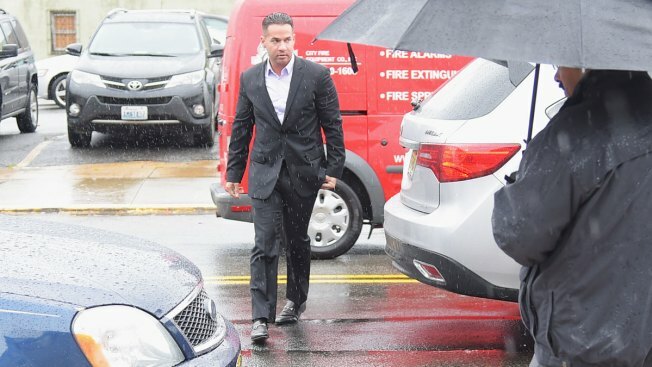 The Situation should trade in his muscle shirts for a prison jumpsuit or avoid serving time altogether, according to dueling pre-sentencing submissions in the "Jersey Shore" actor's federal tax case. Sorrentino admitted concealing his income in 2011 by making cash deposits that wouldn't trigger federal reporting requirements. He and his brother, Marc, were charged in 2014 with multiple tax offenses related to nearly $9 million in income. Marc Sorrentino pleaded guilty to one count of assisting in the preparation of a false return and also faces sentencing Friday. "At bottom, the Government seeks to punish Michael harshly, not because of his own individual conduct and characteristics, but because he is a celebrity," Klingeman wrote. The government's memo argued that a prison sentence would send the message that "tax fraud will be met with real punishment," and noted that Sorrentino's substance addiction didn't stop him from structuring cash deposits to avoid government scrutiny.